QSX Instruments Inc. is excited to begin another year offering high performing x-ray fluorescence technology for targeted application interests. One of our yearly goals is continued growth and we were able to achieve that again in 2012 thanks to a growing reputation of the excellent performance that our analyzer line offers. We exceeded our goals by focusing on solving gold testing needs with accurate bench-top XRF analyzers along with providing multiple analyzer options for the detection of hazardous substances (RoHS, Prop-65, etc). While anchored by our ‘classic’ systems, two new analyzer releases contributed to our growth by expanding the options we can offer – the QSX-295Tplus for high-end precious metal assay and the popular QSX-82D for in-house RoHS screening needs. While it is already being used by some clients, the much anticipated new handheld model (QSX-HH2) will be officially released later this month. The system features Silicon Drift Detector (SDD) technology and software package that make it a top option for elemental analysis. We anticipate it will find a role in positive material identification and RoHS screening testing. A second announcement will highlight the addition of West Coast sales agents. These experienced representatives bring a wealth of knowledge in mining applications, hazardous substance related testing, and positive material identification needs. Look for expanded information in the near future but feel free to contact QSX Instruments today for information on these developments. 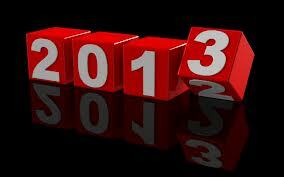 We hope you had an eventful 2012 and achieve your goals in 2013!